Cyclic systems that require proportioned amounts of oil are controlled by meter units. Each meter unit dispenses oil through the distribution network which delivers oil in various amounts to bearing points. 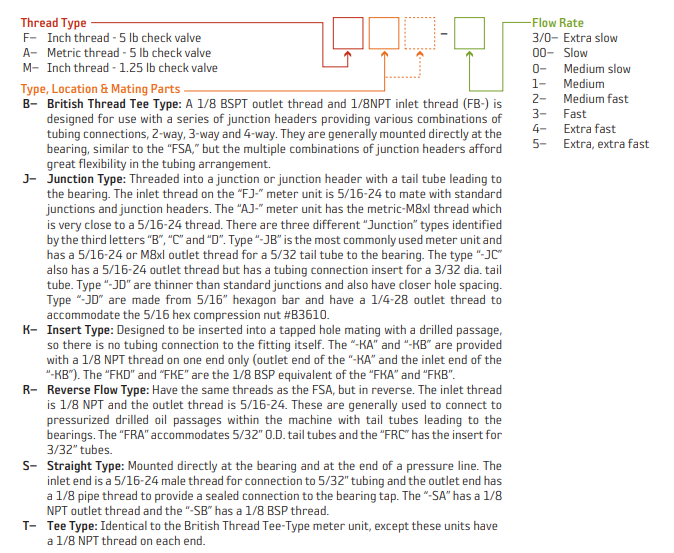 "F" type meter units cannot be used with continuous lubricators, only cyclic, and feed in only one direction. Click on this link to best identify which meter or control unit best meets your need.